One of the most important design and decoration events in Latin America. We are honoured to participate with the porcelain 40x60 Portico tile that evokes a period when stone carving was an art. The Portico tile decorates the walls of an elegant and luxurious kitchen setting bringing a certain serenity to the room. You can visit this exhibition and see our wares on show until the end of July. Villa Angelita is a restaurant where you can taste only the freshest of Mediterranean market products, which are presented in one of the most amazing stately homes. 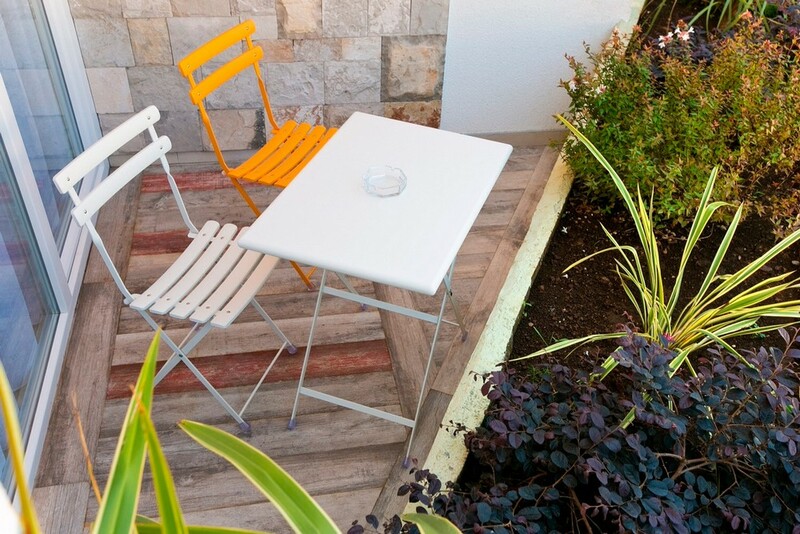 Villa Angelita boasts two areas where you can appreciate their exquisite food, one of which is an exterior patio area. The floor is the main design element of the room with mosaic Güell 1, bordered with Güell 2 and Güell 3, as well as the 1900 Marfil floor tile , all of which come from 1900 tile series. Once again, the collection 1900 has become the protagonist of the renovation of this appartment. Used tiles that replicate traditional encaustic material with a diverse range of designs all made by Vives Azulejos y Gres SA for the flooring areas. Rotjen Basalto and Gibert Gris were used in the living room giving an elegant and dynamic decorative element while in the bedroom, Montaner Azul and Valvanera Celeste were used creating a cosy and personalized space. These floor tiles are all 20x20 in size. 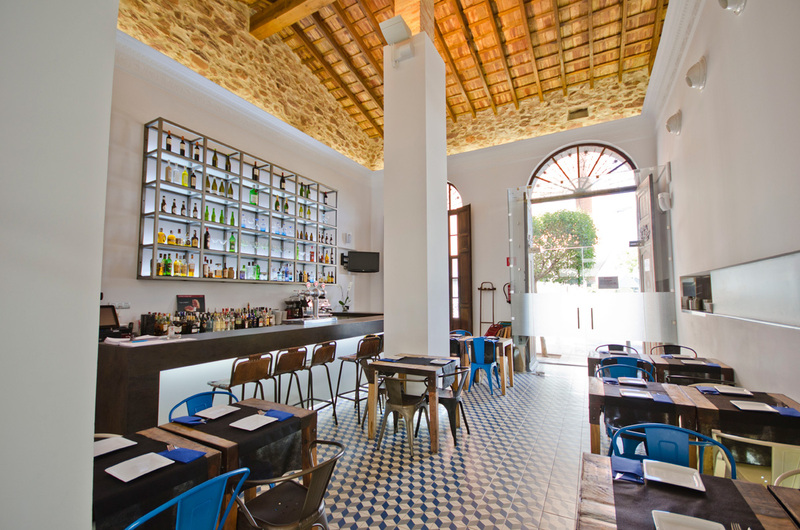 Ca Consuelo Gastrobar Mediterrani exists aplace where traditional cuisine comes together with modern gastronomy. 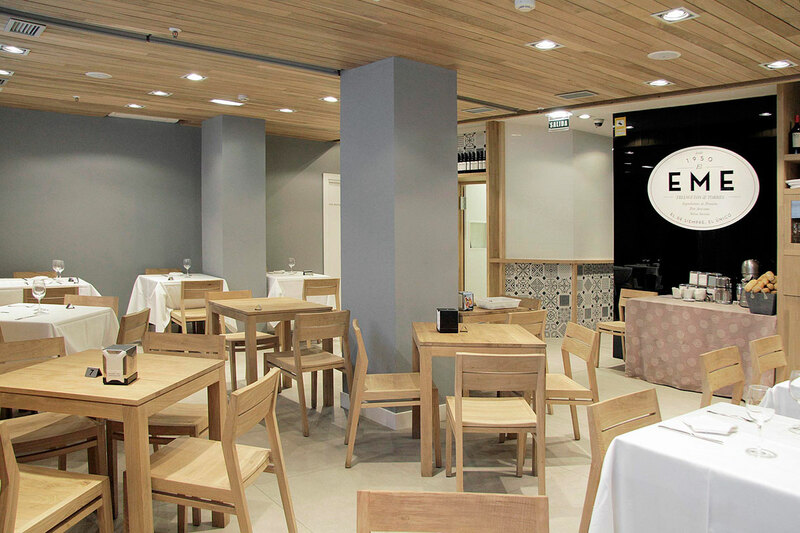 This union is also reflected in the decoration that was chosen for their restaurant, which has several rooms offering comfortable and quiet spaces. 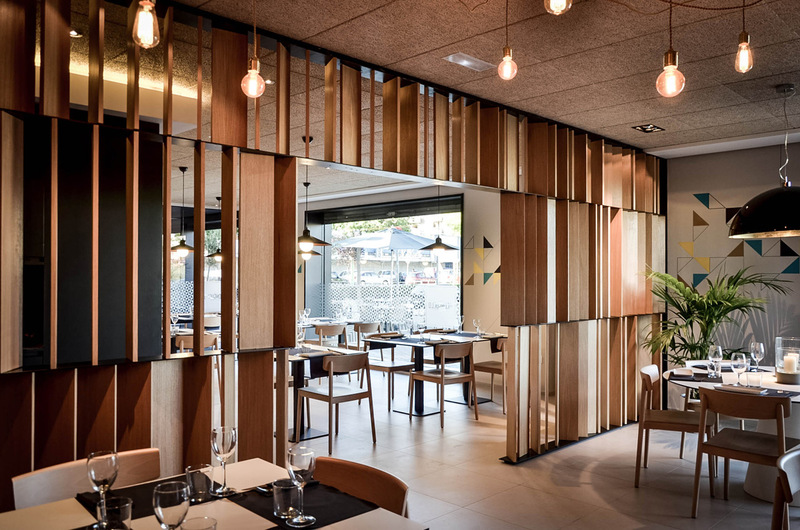 The predominant colour is black in its design by Low-Fi Studio Arquitectura. This is the interior designer Eva Topolidou's house who has chosen Vive´s designs in a very original and different way to decorate it. 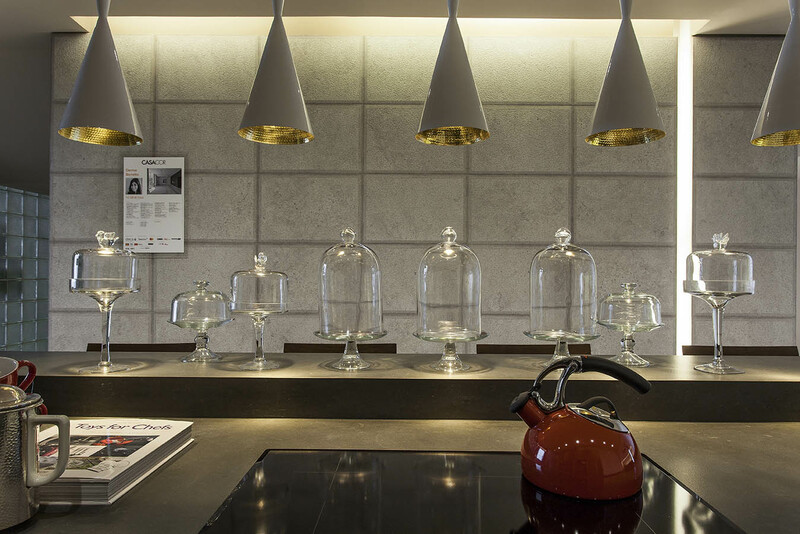 We can find Flore Gris and Vano Marfil models distributed as if they were selected decorative pieces. In the kitchen, it has been used the Terrades model to create a cutting board and Flore Grey as a frieze that gives a vintage and homey look to a kitchen in modern style. The Terrades has also been used in some corners of the house as if it was a decorative baseboard. With the Octógono Varieté Sombra tile design from Vodevil collection, a white design with different handmade graphics in black, el EME infuses an artesanal and close personality. The attractive tile model has been used to coat walls and the bar in the recently renovation.